Deep Cycle Batteries Charging - What Stage Do You Need? Deep Cycle Batteries Charging – What Stage Do You Need? Home/Batteries/Deep Cycle Batteries Charging – What Stage Do You Need? Deep cycle batteries are lead-acid batteries designed to transmit steady electric power for long durations without the need to recharge them often. People utilize deep cycle batteries for numerous applications and they are used mainly as the power source for homemade electric cars. These types of batteries are, normally, used by people who undertake their EV on long drives. However, the battery requires regular maintenance for its effectiveness and long life. Just like regular automobile battery, deep cycle battery also requires a charger. Unlike single stage charging for an automobile battery, a deep cycle battery requires multiple stage charging and therefore, a charger for a deep cycle battery is entirely different from the one used for charging an automotive battery. A deep cycle battery has a unique storage capacity. It should pass through a few stages of charging or recharging before it is charged to its maximum capacity. 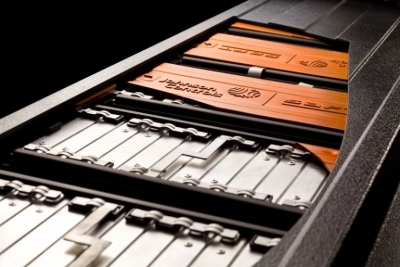 The design and the construction of deep cycle batteries provide for multiple stage re-charging processes. It is advisable to opt for large capacity deep cycle batteries. The most appropriate capacity should be a minimum of 8 amps and a maximum of 16 amps. It is necessary to select a superior quality battery charger. Besides the two stages in which a deep cycle battery is charged, such as the bulk stage and the absorption stage, there is also a float stage which ensures that the battery retains the charge to the maximum capacity once it is charged. You should, therefore, make sure that the battery purchased has a float mode. In this stage, the battery can store electricity when it is not use. You should try to purchase only a high quality, durable deep cycle battery. As soon as a deep cycle battery is bought and before it is used, it is necessary to charge it first. A deep cycle battery requires charging or discharging 30 to 50 times, before it attains maximum capacity. You should never drain it out before it touches its maximum capacity. If proper steps regarding initial and subsequent charging are followed systematically, the deep cycle battery will last for months or even several years supply power to the electric motor on your electric car. However, the maintenance schedule like removing the residues from the top portion of the deep cycle batteries should be meticulously adhered to. If the residues are not cleared from the surface of the battery, it will form a circuit that might soon lead to discharge of the battery. The positive and negative terminals of the battery should be cleaned at least once a year using a broad brush. It is better to apply a thin layer of grease to the terminals of the battery in order to prevent the oxidation process in the battery and consequently, there will not be any drop in its performance. The deep cycle battery should be kept in a specially designed box meant for it when placing it on self-made electric vehicle. This will ensure that the battery is not damaged because of any shocks due to movements of the EVs. Equalizing process is another important aspect concerning the battery maintenance. This can be carried out by charging the battery at a lower voltage. The process of charging should be continued for another hour even if the charging cycle is complete. This will ensure stability of the cells of the battery so that all the cells can function at uniform efficiency. The maintenance jobs on the deep cycle battery should be carried out every week, particularly if you use your pure electric car on a regular basis. Different types of deep cycle batteries, such as both basic and low-cost and high-tech and expensive ones are available in the market. Although costlier than the common deep cycle batteries, it is essential that only a superior battery suitable for all applications that a high-quality deep cycle battery is capable of performing is purchased. 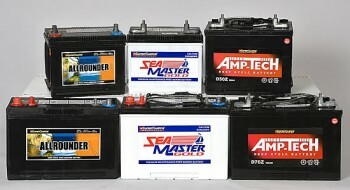 Moreover, common deep cycle batteries will not last longer. Apart from buying a long lasting high quality battery and undertaking regular maintenance, it is important that you purchase a superior battery charger as well. All these steps will ensure that a deep cycle battery will not only perform efficiently and lasts longer but also save a lot of money on repairs.